Extended University Programs (EUP) extends Western Michigan University’s educational resources throughout Michigan and beyond by partnering with academic departments to deliver undergraduate and graduate degrees, certificate programs and non-credit conferences and workshops. These programs are delivered in a time, place, and format that address the needs of the adult, part-time learner. 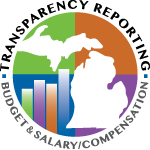 EUP is comprised of regional locations in Battle Creek, Grand Rapids, Lansing, Metro Detroit, Muskegon, Southwest, and Traverse City, as well as Online Education, University Studies, Professional Development, and the Osher Lifelong Learning Institute at WMU. To inspire, enable, and encourage lifelong learning, through educational access, personal growth, and professional development opportunities - one individual, one class, and one preferred learning style at a time. EUP provides University leadership in lifelong learning and innovation through educational technologies and outreach. EUP serves as the bridge to engage diverse populations. Regional locations have environments that are tailored to the busy, working adult, including comfortable seating, computer labs, wireless Internet access, and courses scheduled on evenings and weekends. In addition to academic programming, regional locations provide the connection to WMU offices including financial aid, advising, university libraries, and other university services. Online Education offers a variety of courses, degrees, and certificate programs entirely online. Online Education also offers hybrid courses and hybrid degree programs that utilize contemporary online learning technologies and methodologies. Additional services include instructional design and course development support for instructors, technical support for students, and on-campus proctored testing. The University Studies bachelor’s degree completion program integrates prior coursework into a personalized degree, providing students with an opportunity to complete a bachelor’s degree from WMU in a manageable and straightforward fashion without the constraints of s specialized curriculum. Either a B.S. or a B.A. degree can be awarded based on the topical areas applied. Professional Development is dedicated to providing an increased selection and availability of non-credit learning experiences designed with a client centric approach for personal enrichment and career elevation. This unit offers training, preparatory programs and certificates for professionals seeking continuing education credentialing. Additionally, it provides and coordinates the approval of Western Michigan University Continuing Education Units (CEU) and State Continuing Education Clock Hours (SCECH) for the State of Michigan. Provide intellectual and cultural stimulation, personal growth, and social engagement for participants in an informal, lively, learning atmosphere. Enrich and extend the quality of life for participants. Create an academy of learners who can share what they have learned and experienced during their lives.